- 60 day, hassle-free return policy. - Aerial apparatus which has been used or had its packaging opened cannot be returned. - See below for full details of our aerial return policy. We try to be good people here at Firetoys so we go above and beyond the minimum standards by giving you a 60 day cooling off period when you can return any item as long as it meets the criteria below. We understand you may need to look at the item to know if it is suitable so we can send free samples of Firetoys silk material and Firetoys rope for you to inspect before you buy. Please note, we cannot send samples of Voltige equipment. We have a 60 day returns policy, meaning you can return any item within 60 days of you receiving it for any reason. The only thing we ask is that the item(s) are in an unused condition and meet the criteria set out on this page. We may accept returns after 60 days but a restocking fee of 25% of the order value will be applied to these late returns. In other words, we will only refund 75% of the order value if items are returned after 60 days. 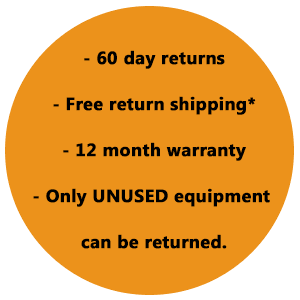 As long as the items meet these conditions and the return is initiated within 60 days of receiving the items we will replace or refund the full price of the items. The return of unwanted aerial equipment is at the customer's expense. The cost of returning an item to us will vary depending on the size and weight of the item and your location. We recommend insuring the package for a suitable amount. Please retain proof of postage to protect yourself against the parcel being lost in the post. Please make sure the return packaging is suitable. The packaging we use to send your order to you is intended to protect the goods during that journey only. You may need to add extra protection or repackage the items before returning them to us. It's not a bad idea to photograph the packaging before you send it to us. If the item we sent you is faulty or incorrect then Firetoys will cover the cost of the return shipping. See below for more details.